Squalane is not new, but it is increasingly being included in skincare products. It is considered to be a natural and very efficient moisturiser, which explains why it is being included in so many positive ageing serums and creams as well as body moisturisers and hair products. It is a very stable oil, even more so than coconut oil! It is naturally produced in our bodies but can also be found in plants, which is where beauty companies extract it from. Squalane is an oil which occurs naturally in the body, but is also found in olive oil and in the livers of certain sharks (although its no longer common to extract it from shark livers). Although it occurs naturally in our bodies, sadly it declines drastically after the age of 30, which for some people means the start of drier skin. Restoring the skins optimal moisture levels. It’s believed that squalane can impact on skin issues like hyperpigmentation, scarring and age spots. It’s effective as a body moisturiser. It can be used for moisturising hair as well. 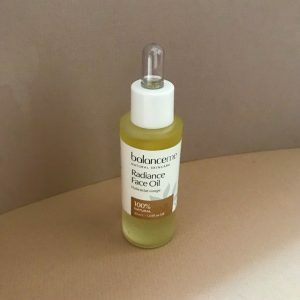 Squalane oil doesn’t really form a surface barrier on the skin, like many other oils. It’s thin and fast absorbing and therefore it is much less likely to interfere with the absorption of other products. It intercepts free radicals and prevents them from entering the system, also protecting skin from environmental stressors that lead to premature ageing. Easily absorbed by the skin AND penetrates deeply helping to repair it. 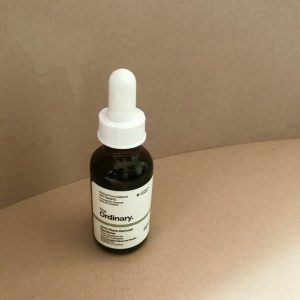 This is 100% plant derived squalane from cult brand The Ordinary and it’s reasonably priced. This is easy to apply on dry skin every day to help to increase hydration and it helps to maintain hydration levels over the longer term. 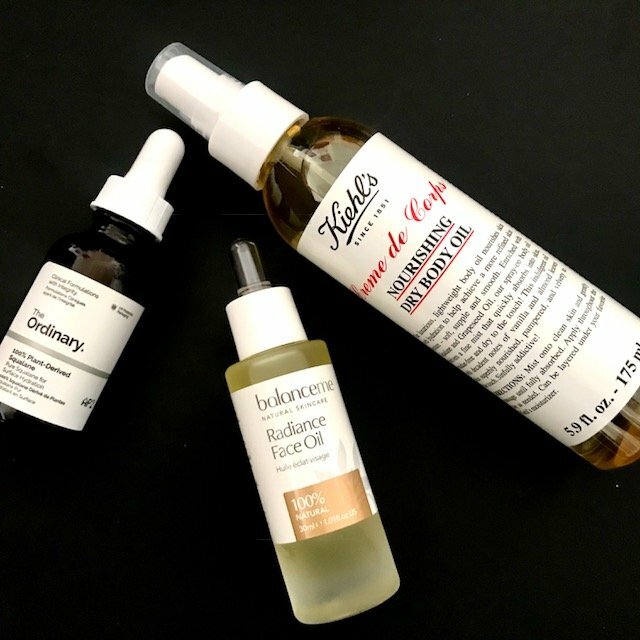 You can use this as the first course of your daily skincare, as it works well under other serums and creams. 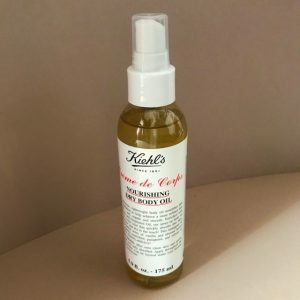 Loving this nourishing body oil from Kiehls which is part of their Creme de Corps range. This is a dry oil which means that it offers deep moisturising without leaving an annoying oily residue. Plus apart from Squalane it’s enriched with skin nourishing grape seed oil and it leaves my skin soft, smoothed and nourished. Oh yes and it’s a spray oil, so you only use as much as you need. I’m not really familiar with products from this brand so discovering it via this lush radiance face oil is perfect! It’s loaded with ingredients known to feed and nourish the skin. “Amazonian Buriti Nut Oil is rich in essential fatty acids, which help improve skins firmness, hydration and tone. Rosehip Fruit Oil addresses uneven skin tones and pigmentation, while Yarrow and Chamomile Oils have powerful anti-inflammatory and calming properties”. This oil leaves your skin nourished and supple, with a gorgeous glow. Love it. Please note – unsaturated squalene oil is unstable and goes rancid quickly – so if you see this form in a skincare product, avoid it! This was quite informative. I never knew about this oil.